By Jake Rocheleau in Hosting. Updated on April 11, 2018 . 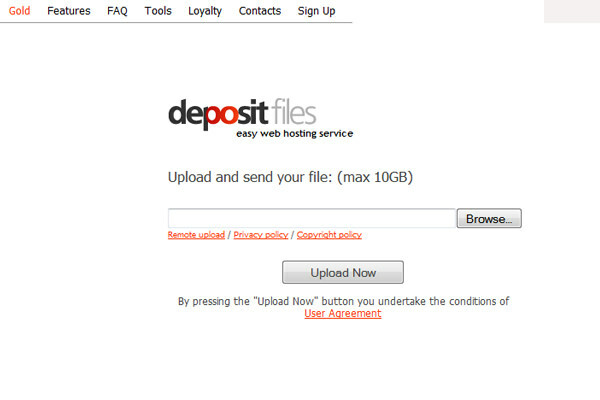 Working online provides a host of solutions for managing your files. Cloud computing has allowed for large virtual server farms to span the globe via direct Internet access and file downloads. This cloud environment has created a method for delivering files more quickly and effortlessly than with standard physical servers. By using a Content Delivery Network (CDN), webmasters have the option of storing alternate static files on servers worldwide. Then packet requests are sent to users based on their locations, so files can be loaded much quicker. 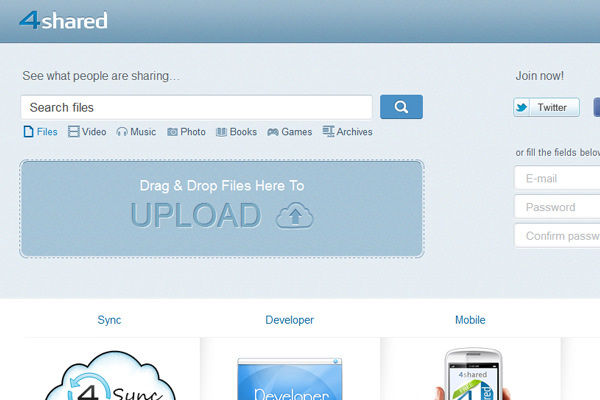 Similarly you may store files in the cloud and share them with your friends or colleagues. This solution of virtualized servers in the cloud has provided a means for accessing files easier than ever before. I would like to use this article as a look into some of the more popular CDN and cloud sharing applications. Small businesses and even freelancers can benefit tremendously by keeping a local backup of files along with copies in the cloud as needed. This provides the option of working from any computer with access to data that would otherwise be impossible. I should preface this list by saying that CDNs are not for everybody. High-traffic websites and web applications would however notice a tremendous benefit in latency because of download speeds and performance. When you have visitors from all over the world, physical servers are limited to data transfers from a local connection. The purpose of a delivery network is to deliver your static files (CSS, JS, Images) from the most convenient server farm based on the user’s location. So you may have people accessing your American-hosted website from Australia, Europe, Japan, and South America. Each of them could be served much quicker through a geographically-based cloud network. 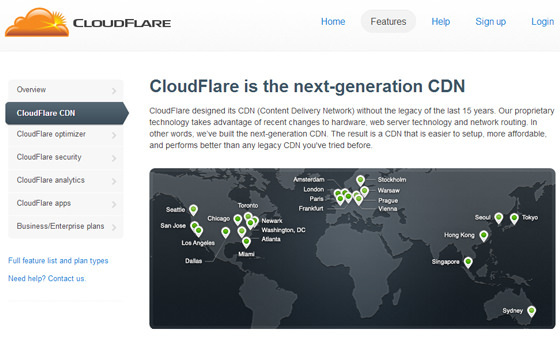 A CDN can also be tied onto a particular domain or subdomain of your own website. 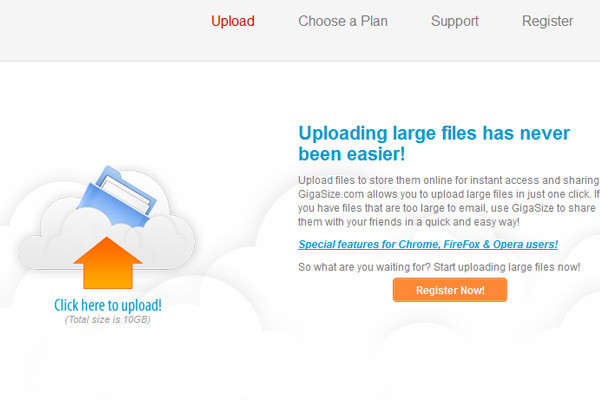 This gives the illusion of hosting files on an alternate server which is also handy for backups. Any premium CDN will charge a hefty fee for their services, but some networks are very cheap or even free to take out for a test drive. I have put together a compilation of 7 outstanding Content Delivery Networks which provide exceptional service all around. Some are more expensive than others and some networks have much broader coverage than others. 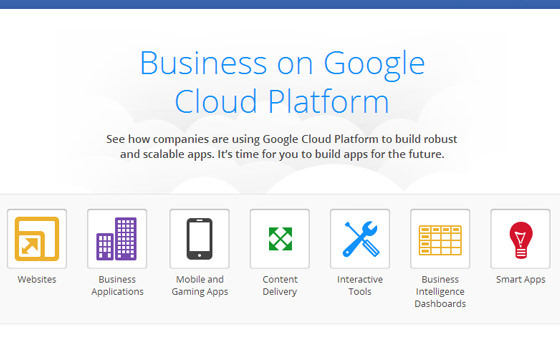 But this process is all about filling your specific needs for hosting solutions in the cloud. The CloudFlare network is actually quite expansive if you check out their regional map. I really like their service because CloudFlare is one of the few providers to offer a free plan. Also their servers cover the globe in many densely populated hotspots. Check out their plans & pricing page to see all the options you have available. Anybody who is just getting interested in CDNs should try the free plan and get a better understanding. The backend system can be a little confusing until you have spent time working with a service provider. CloudFlare also boasts an incredible amount of security and support for detailed issues. I would call this one of the best “learning grounds” to get your feet wet. But even though newcomers are just learning the ropes, more professional plans can offer plenty of beneficial features as well. It is worth noting that nobody will jump into a service paying money if they can try it out for free! CloudFlare does not charge based on bandwidth, but instead by a monthly fee and limited data caps. It’s a huge marketing bonus to the company and it gives interested clients a chance to gauge their potential without much risk. I haven’t done much testing with CacheFly’s CDN but I can give credit to the name recognition and plenty of top-tier clients. 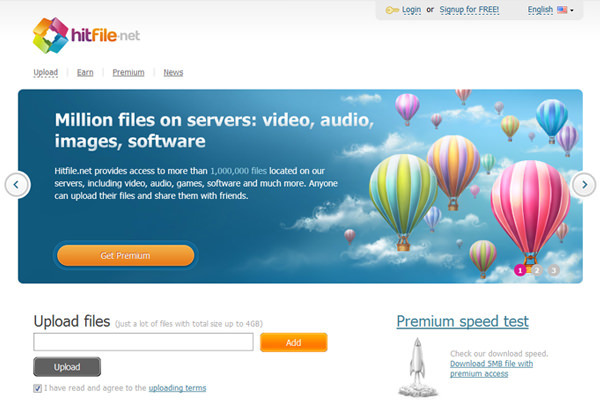 CacheFly is serving files for companies which include Cartoon Network, Microsoft, Bandai-Namco, and Adobe. 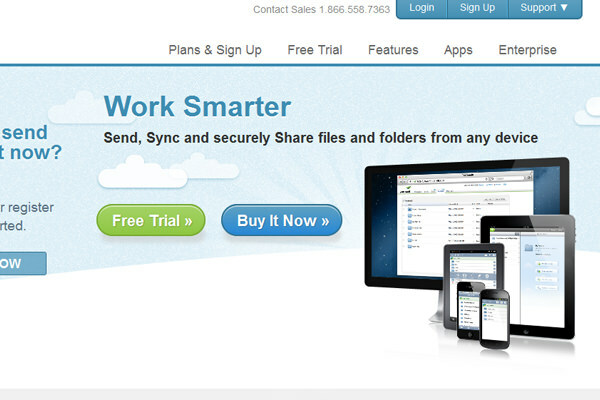 CacheFly as a company has been around since early 2002 and has one solid track record for hosting files in the cloud. One interesting point on their homepage is the guided video tour which explains a bit about Content Delivery Networks. If you are still fuzzy on the concept I recommend watching the clip. It’s about 2-3 minutes long and provides a great explanation of what CacheFly can do. The biggest issue I have with CacheFly is their distorted levels of pricing. You are paying close to $100/month on their simplest plan for only 256GB data transfer. This equates to about .25TB monthly before you would hit excess transfer charges. If you aren’t receiving enormous levels of traffic to your website or to website media (images, video) then CacheFly is probably worth waiting to put off for later. Microsoft, in my opinion, has always been on the fence with some really great & really bad software releases in the past two decades. But I would argue Windows Azure is one fascinating new launch which has a lot of potential in the realm of cloud hosting. 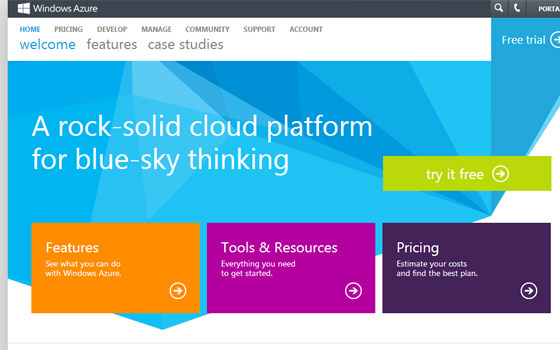 You can sign up for a free 90-day trial which offers all the basics for cloud users. This plan comes with 10 possible websites, 35GB of storage and 20GB CDN bandwidth. 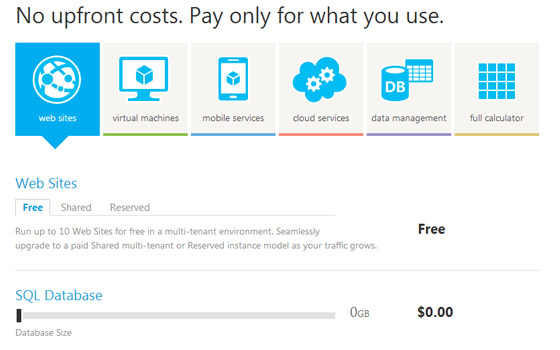 For anybody seriously considering CDN cloud hosting you should really give Azure a shot. Even before going onto a paid plan it’s worthwhile for testing purposes. How Azure will stack up against other CDNs I can’t really say. It is still very new, but for webmasters Azure offers a lot of extra functionality like SQL database storage. If you have specific needs for your website try their price calculator to get an average cost estimate. You may be surprised with how economical Microsoft’s CDN will stack up compared with alternatives. If you know that your website drives a lot of traffic and you need a seriously fast & stable delivery network, go with NetDNA. I have never been more impressed with a company who is willing to work directly with clients and solve specific bandwidth problems on their website infrastructure. Some of their top client case studies include Template Monster, Sitepoint, and BuySellAds. These are big-name Internet companies which solely rely on NetDNA to deliver content across the globe. Their content is protected by SSL and may include rich media such as HD 720p/1080p video. It’s also interesting if you check out their pricing chart you will notice that data is charged differently based on location. The cost get can very pricey when you are running multiple websites with an international audience. 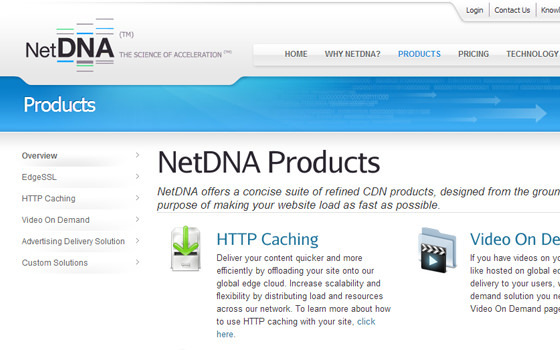 But webmasters who need a specific service may be interested in NetDNA’s other brands. 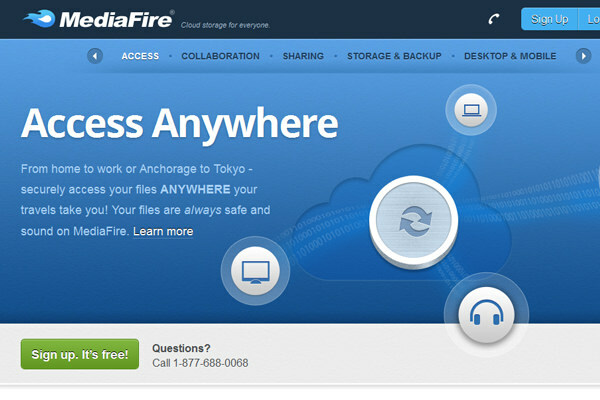 CloudCache actually works off the MaxCDN network and runs as a partner with NetDNA. 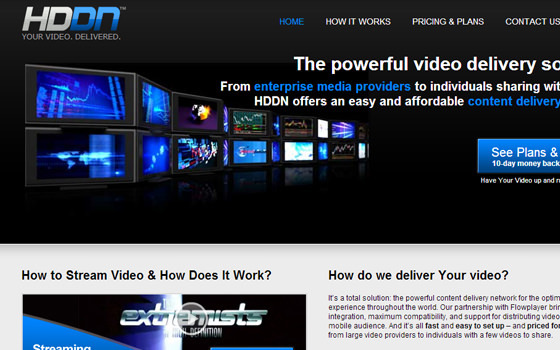 Alternatively HDDN is a video storage and streaming network geared towards HD video. Websites which need to host tutorials or online videos may consider this service a lot more valuable than a typical CDN. There is more information in the pricing plans which give a solid breakdown of data usage. Spend some time working out numbers if you need to stream rich media files and see if the prices are worth paying to handle large bursts of traffic. 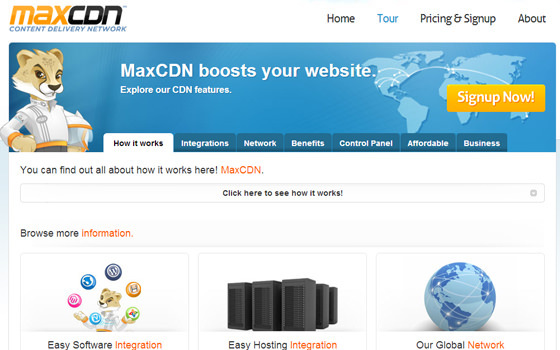 The MaxCDN cloud hosting/CDN service is actually part of the greater NetDNA network. This is one of their smaller brands which is the perfect solution for small-to-medium sized businesses. This is especially true with blogs or online magazines which are displaying a lot of unique content on a single webpage. Why I love MaxCDN so much is their flexible pay-as-you-go pricing plan which starts at $40 for 1TB of data. If you aren’t familiar with units of data transfer 1TB is just about 1000GB (which is huge). Any small business or new startup can hold onto this limit for a very long time without going over. But MaxCDN is very handy in that your account will receive a warning message when your limit is getting close. After the initial 1TB of data is used you would be paying $70 for each additional Terabyte added. There are no time limits for when the data caps would run out, so you can hold onto this storage for as long as needed. This is one of the best CDNs for somebody who knows they want good quality but don’t have a lot of money to deal with overage fees and complicated monthly plans. Possibly the greatest advantage to using Google’s App Engine is that you can get disk space and file hosting through Google for absolutely free! 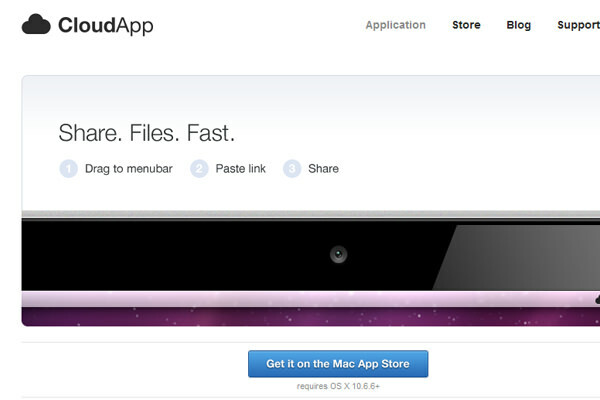 Developers can sign up for a new application account and determine how much space is required for their app. Google is one of the more notorious tech companies in the world and holds a very strong reputation for security. Google also has a lot of money to shell out for hardware and data centers. This means you can count on Google to serve your files through a tremendous network of server farms. You should understand that although Google offers a free plan, their CDN is at least 10x more powerful than those limitations. So if you have the money it would be worthwhile to pay for their more premium services. When scouring the web recently I found a tutorial for setting up App Engine and how to create your first online CDN repository. This is an excellent step-by-step guide for newcomers who are not yet familiar with Google’s interface. There is some interaction with the command prompt but the whole process isn’t very difficult and actually fairly easy to replicate if you have the guide. 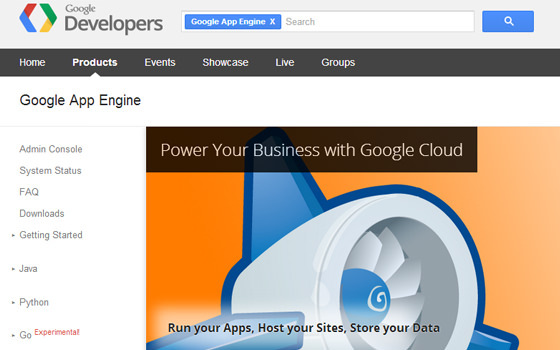 Also the App Engine interface is more of a solution for cloud-based storage in general. The most conclusive solution would be a CDN but it can host many of your core website files as well. There is a limit on the amount of disk space/bandwidth you may use, but Google has one of the best platforms for storing your website files in the cloud. 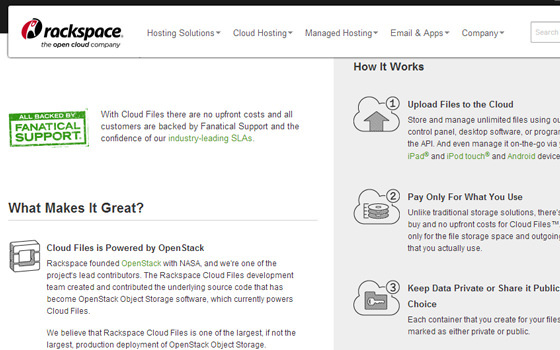 The Rackspace website is mostly filled with hosting plans for server space. But surprisingly they have broken into the business of public cloud CDN hosting partnered with the Akami Network. This delivery network is huge and gives your files a direct connection to almost anywhere in the entire world. There are multiple locations found all around the United States and Europe, along with Asia, Australia, and South America. Now one alternatively interesting tidbit of info is that Rackspace has their own Cloud Files API which is public for any programmers to build with. 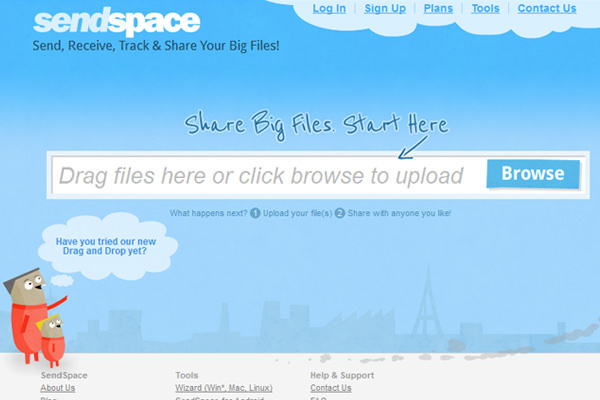 You can upload large sets of files to the cloud by programming your own interface. This could be a desktop application or even a website application based on PHP or another common backend language. When talking about pricing the storage & streaming charges are superbly reasonable. Any files stored in the cloud on server HDDs will cost $0.10/GB per month as long as your account is active. Then for all bandwidth used in a month Rackspace charges an additional $0.18/GB. 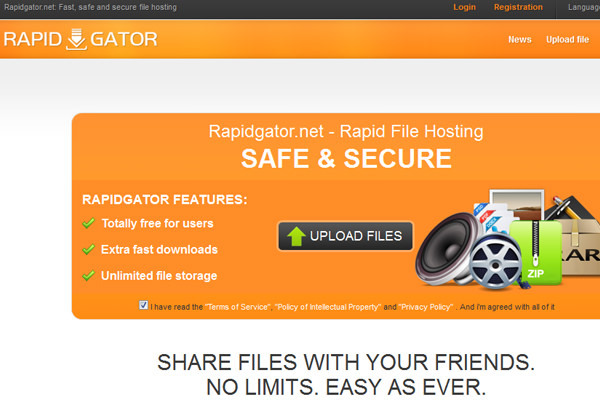 If you are hosting reasonably sized files you could get away with paying $5-10 monthly for a huge performance boost. 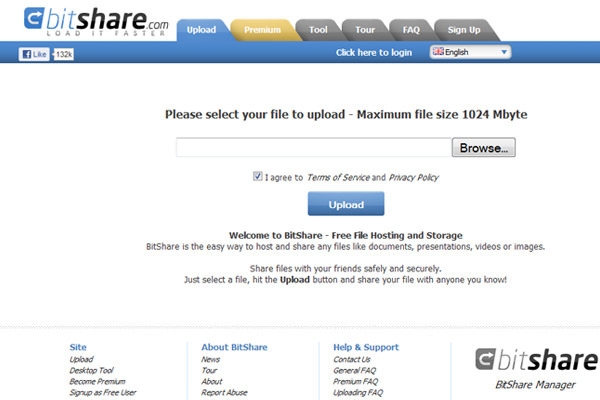 For this last segment I have composed a mini-showcase of alternative file sharing websites. 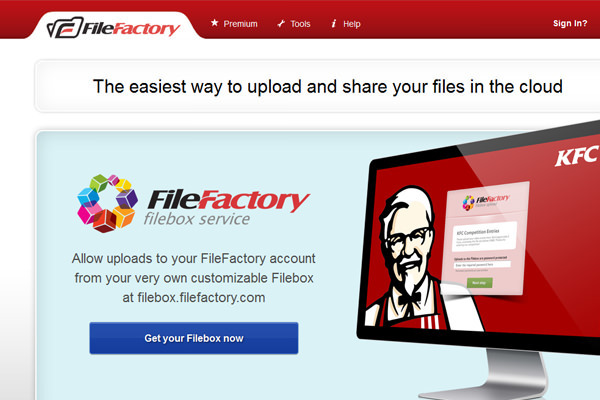 These are all cloud-based solutions where you can upload files to the Internet and then share links with your friends or coworkers. 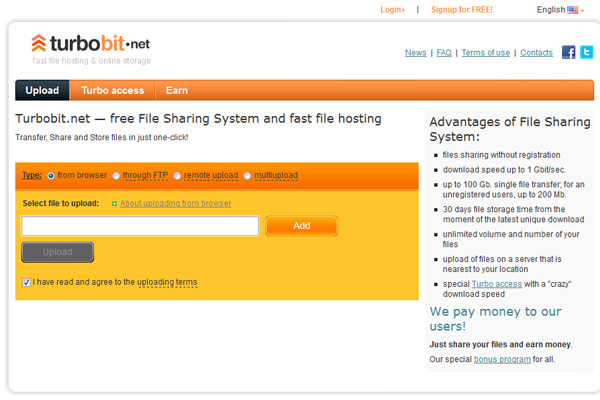 All these services offer a free account plan to new users for sharing files with as many people as you’d like. 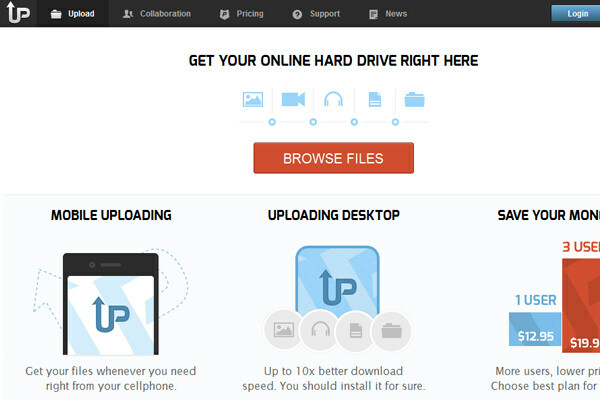 These file storage services can also double as a private cloud host for your own personal files. 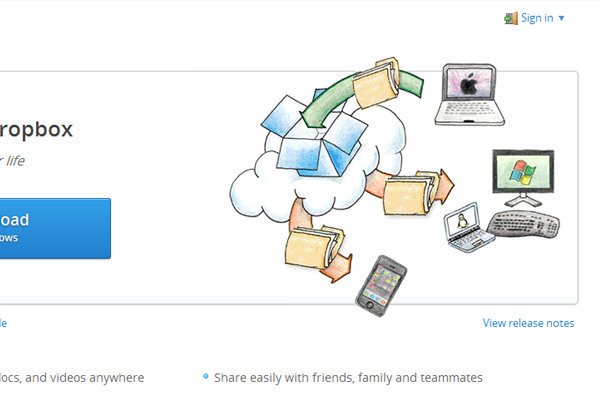 It can be annoying to find room for hosting backups and important documents, let alone keep them with you everywhere. 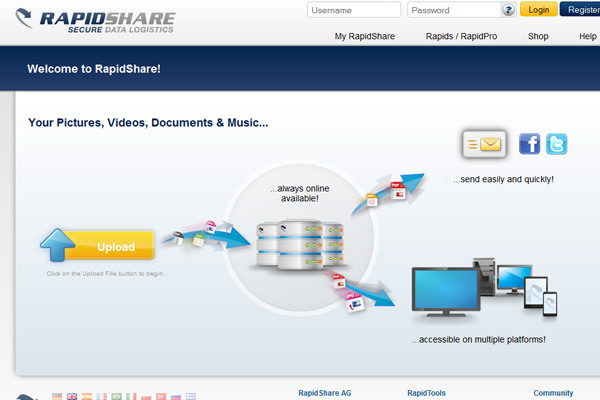 But paying for a premium account with a website like RapidShare or MediaFire guarantees access to your files from any computer with an Internet connection. Everybody will have a different purpose for working within the cloud. We all work with varying types of data and will thus need to shift focus accordingly. But I would argue that any project or business venture will notice benefits by working with cloud hosting techniques. This article should provide a solid overview of CDNs and cloud file distribution in general. It is my hope that newer web developers will take the time to research this topic and learn more about file storage and cloud server infrastructure. Additionally if you have any suggestions or thoughts on the post feel free to share with us in the discussion area.